Find the best deals and discounts on Charles Heidsieck Champagne. Compare current prices, look into the Price History or simply be inspired with our Deal of the Day. 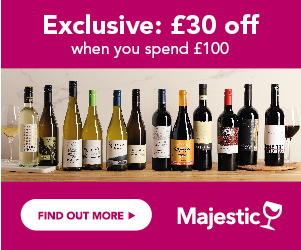 Also, sign up to Price Alerts to never miss a deal on your favourite bottle. Charles Heidsieck is a Champagne house named after its founder, who set the company up in 1851, and was one of the best known and most flamboyant characters of the Champagne industry in the 19th century. Known as ‘Champagne Charlie’, the great nephew of the founder of the Heidsieck Champagne house, Florens-Louis Heidsieck, set up on a mission to create his own company and legacy, and travelled the world, promoting his brand, having had the vision and initiative to create his own Champagne business at the age of 29. So flamboyant and well known is his story, and how he brought Champagne to America, that his life was captured in a film, ‘Champagne Charlie’, starring Hugh Grant in 1989. In the UK, Charles Heidsieck is recognised for its high quality, and relatively small, and low key, yet prestige presence. Whilst the UK is one of the top 4 export markets for Champagne, with sales having undergone a massive growth in the last 20 years, Charles Heidsieck Champagne will only be found on select lists and in upmarket stores, and accounts for only a small percentage of all Champagne sold in the UK. The heritage and the continued focus at Charles Heidsieck Champagne is the ongoing pursuit of excellence, sparing no expense, and cutting no corners for quality. The driving force behind this strategy was the inspiring head of winemaking Didier Thibault, who is recognised as the leading light in terms of the development of today’s style, image and quality of the brand. What's The Background To Charles Heidsieck? Charles Heidsieck was the great nephew of the founder of the original Heidsieck house, which went on to become Heidsieck Monopole. His father was Charles-Henri Heidsieck, another high profile, headline-catching individual, who famously rode into Moscow on a white stallion in 1811, just ahead of the Napoleon’s army, with Champagne and order book at the ready, for whoever the victor would be, in order to take his first order. A debonair, risk taker and entrepreneur, his son inherited similar characteristics. Known as being unpredictable, tenacious, and irresistibly charming, Charles had grown up in a Champagne family and held true to the legacy that he had inherited. However his wanderlust and desire to build bigger, led him to set up his own branch of the Heidsieck triumvirate of houses. A visionary, maybe ahead of his time, he realised that his skill lay, not in the winery, or the production of the wine, but in the commercial development of the company, and in its promotion internationally. He focussed on purchasing kilometres of chalk cellars, deep under the headquarters of the company, and Charles Heidsieck still has one of the largest Champagne reserves of any, today. He left the growers and the winemakers to do their job. In 1852, just a year after setting up the business, he set off for America, and met with great success, today, frequently hailed as the man who brought Champagne to America. It is here that he acquired the nickname of ‘Champagne Charlie’, and became the toast of New York Society over the next few years. A charismatic Dandy, he charmed wherever he went, and extended the reach and reputation of Charles Heidsieck Champagne in Russia, England and other European countries. However, his luck turned against him, when he was imprisoned during the Civil War, having become caught up in the conflict and accused of spying, whilst attempting to protect his business interests in the Southern States. Following a period of bankruptcy and business loss, he was able to rebuild the Champagne house in the late 19th century. Charles Heidsieck’s focus was always quality, at the expense of quantity, which is a philosophy, which is still followed today – never one of the great volume houses, the wines are unique and crafted in the tradition that the founder made his own, and carefully nurtured in the kilometres of chalk cellars ‘les Crayeres’ that he purchased soon after he set up the original business. His legacy continues through the work and passion of some of the top cellarmasters in the world; Daniel Thibault, who died in 2002 was one of the most respected winemakers, and strove for the excellence and supreme quality that Charles Heidsieck wanted as the hallmark of his brand. Even the house style, the Brut Reserve, contains 40% of reserve wines, which are over 10 years old. Thibault, his successor Regis Camus, and now Thierry Roset, have all been acclaimed at the very highest level, with numerous awards for ‘best winemaker’ across the world. The resident winemaker has been voted ‘international sparkling winemaker of the year’ 13 times in the last 2 decades by the International Wine Challenge. The key to the success is consistency, and the secrets and skills of the house have been handed down via these iconic wine producers and cellar masters. With 30 hectares of vineyards, and producing 3 million bottles per year, the company was purchased by the Remy Cointreau group in 1985, and sold in 2011 to the French company EPI, who also brought into its fold, the sister company Piper Heidsieck. What Styles Of Wine Does Charles Heidsieck Make? Charles Heidsieck Champagnes will never be known for proliferation, or volume production. Their focus is purely quality; recently they have reduced the number of ‘crus’ from which they blend their wines from 120 to 60. The wines are multi award winners, and star in competitions all over the world, including the International Wine Challenge, Decanter and the Wine Spectator. Charles Heidsieck Brut Reserve - a carefully crafted blend of the 3 main grape varieties, Pinot Noir, Pinot Meunier and Chardonnay, but including 40% of Reserve wines, which have been aged for an average of 10 years. the hallmark of the brand stamps its foot firmly on the high quality map, with the house blend, full of refined sparkle, delicate mousse, great finesse, and a rounded complexity and elegance. Charles Heidsieck Brut Reserve Rose - aged for 3 years, rich in colour, texture and flavour, this is a highly stylish and elegant Rose, produced from a blend of all 3 grape varieties and aged for at least 3 years to add texture and depth. Charles Heidsieck Brut Millesime 2000 - one of the most awarded and lauded Champagnes in the world. A majestic blend of almost 60% Pinot Noir and 40% Chardonnay, it is full, powerful, and inherently complex, with a lingering depth and intensity, which demonstrates clearly why it is winning awards, the world over. Charles Heidsieck Brut Rose Millesime 1999 - winning gold medals at both Decanter and the International Wine Challenge in 2012, this rose from a top vintage is clearly world leading in its style and quality, with a richness and depth of flavour, aromatic complexity, and hauntingly beautiful, yet delicate flavours. Charles Heidsieck Blancs des Millenaires 1995 - the iconic and flagship Charles Heidsieck Champagne, produced entirely from Chardonnay from 4 grand crus and 1 premier cru vineyards in the Cotes des Blancs and aged for 17 years. Rich, concentrated, intense and with an incredible depth, richness, yet subtlety of flavour.